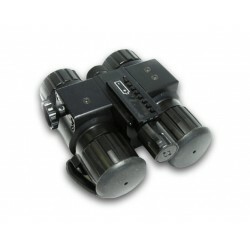 Binoculars and NVG's There are 15 products. 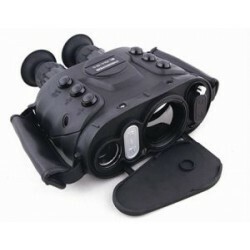 TIG-7-MOD is the new thermal imaging binocular-goggle system designed from scratch. Which now has a strategically placed (full-size) tactile keypad, hard-anodized aluminum body and re-engineered optics. 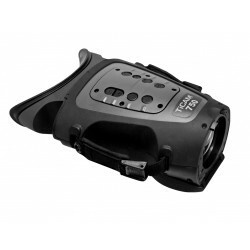 TIB-5050-MOD are the lineup of medium-range thermal imaging binoculars. Dual-eyepiece and dual-OLED optical design provide comfortable viewing and improved depth perception compared to monocular-type devices. 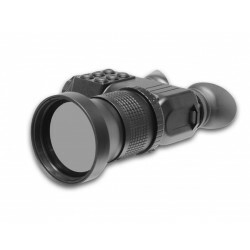 TIB-5050-MOD is equipped with 50mm f/1.0 Germanium objective lens that can be paired to 384x288 or 640x480 thermal engine. 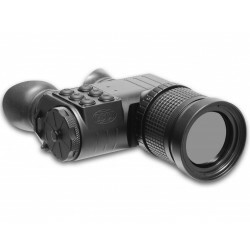 TIB-5100-MOD is the high-end thermal imaging bi-ocular systems for long-range observation. 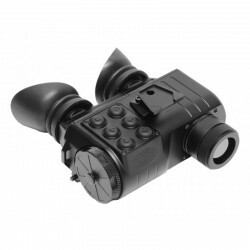 The unit is capable of capturing even subtle details of objects that are many hundred metres away from the observer. Search and Rescue teams, Security specialists and Border Patrol units are armed with this top-of-the-line model of TIB-5000-MOD Series. 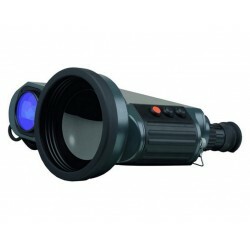 The handheld VarioVIEW™ 75 thermal binocular combines extended range performance with high resolution and maximum mobility for a broad variety of homeland security applications. 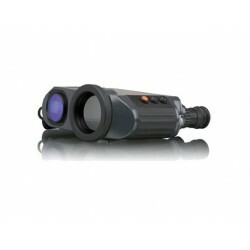 It offers a detection range of persons up to 2.7 km and usually a detection range of 5.6 to 7.5 km for ground vehicles. 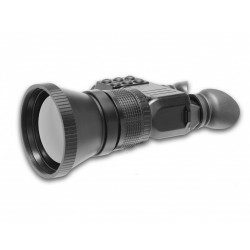 The handheld VarioVIEW™ 150 thermal binocular combines extended range performance with high resolution and maximum mobility for a broad variety of homeland security applications. It offers a detection range of persons up to 5 km and usually a detection range of at least 7 to 8 km for ground vehicles.